To market, to market... get ready to shop! 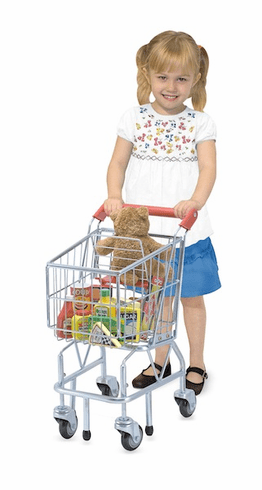 This durable metal shopping cart looks just like those in real stores. Sturdy construction includes pivoting front wheels and a folding seat for a favorite companion. 11.25" x 24" x 15.5"